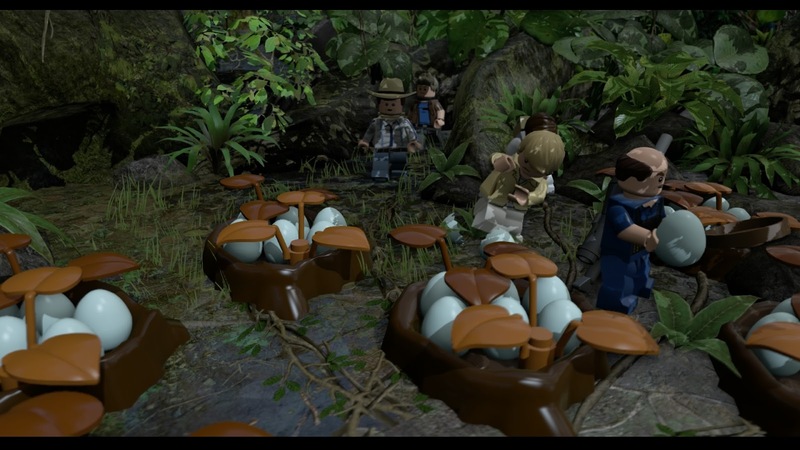 12th June, 2015 – Warner Bros. Interactive Entertainment, TT Games, The LEGO Group and Universal Partnerships & Licensing today announced that LEGO ® Jurassic World™ is now available in the UK for the PlayStation®4 and PlayStation®3 computer entertainment systems, PlayStation®Vita handheld entertainment system, Xbox One all-in-one games and entertainment system, the Xbox 360 games and entertainment system from Microsoft, Nintendo 3DS™ hand-held system and available to download for STEAM. For the first time, the Jurassic Park franchise comes to LEGO video games, spanning more than two decades of epic films from Universal Pictures and Amblin Entertainment, including Jurassic Park, The Lost World: Jurassic Park, Jurassic Park III, as well as the highly anticipated Jurassic World, opening today. 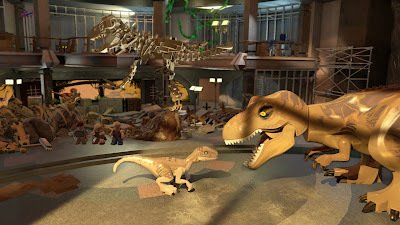 Reimagined with TT Games’ signature LEGO humour, the thrilling adventure recreates unforgettable scenes and action sequences from the films, allowing fans to experience for themselves the franchise's most memorable moments and the opportunity to fully explore the expansive grounds of Isla Nublar and Isla Sorna. Also launching today is the Jurassic World DLC Pack, giving players access to six new characters, two new vehicles, the JURASSIC Response Unit and the JURASSIC WORLD Shuttle and more. The Jurassic World DLC Pack is available for purchase at local and digital retailers for £1.69. Experience even more within LEGO Jurassic World with the Jurassic Park Trilogy Pack #1, which grants access to three characters and one vehicle including, Dino Handler, Eric Kirby and Paul Kirby and the Animal Control Vehicle, which is available for purchase for £0.79. Players can also purchase the Jurassic Park Trilogy Pack #2 for £0.79, which provides access to three characters and one vehicle including, Jurassic Park Helicopter Pilot, Lex and Tim Murphy and Iain Malcolm’s San Diego Cruiser. LEGO Jurassic World is rated “PEGI 7” and is now available for PS4™ and Xbox One for the suggested retail price of £49.99 and for PS3™ and Xbox 360 for the suggested retail price of £39.99. The game is also available now for PS Vita™ and Nintendo 3DS™ for the suggested retail price of £29.99.